The company name: ‘E.P. Meijer – Vioolbouwatelier’ is registered at the Chamber of Commerce and Industry in Leeuwarden, The Netherlands, number 01.042.661. Please use, if necessary, the answerphone, and you will be called back as soon as possible. Monday to Friday from 10:00 to 17:00; Saturday 12:00 to 17:00. I prefer an appointment. Monday to Friday from 07:00 to 10:00 and 17:00 to 20:30 by appointment only. This is a one-man workshop, so I am not always around. For assessment of instrument damage it will normally be necessary to have the object in hand and preferably be seen by daylight. New construction Is done both on my own initiative and on order. There is a good stock of new and older instruments. Repair Small work according to standard tariffs; larger jobs require an estimate. An estimate is without obligation and usually free of charge. Bows Redo of bow-hair is often necessary, but is up to the musician to decide. Most of the other repairs can also be carried out. 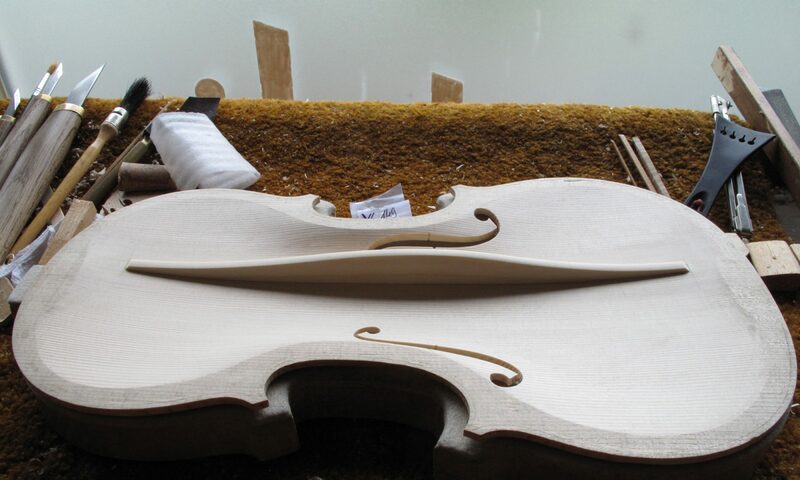 Trade Violin building is my profession, is central to the activities and forces to a certain degree of restriction. The work will be carried out in a residential house; there is no shop and no stock space, so that the trade there is limited stock. Rental Rental is incidental. In case of damage to your instrument a replacement instrument is not always available. Rented goods are not insured. I refer to instrument insurers. Valuation Valuation of instruments is not done as a service. It is improper and often counter-productive. Whoever owns something of value knows that in most cases themselves. In the workshop is a list of tariffs which is normally the actual basis for my services. The hourly rate is € 24.05 Including 21% VAT. Delivery takes place after payment. This also applies to repair work. The payment can be arranged separately for large jobs, such as a new construction. Strings cannot be exchanged or taken back! The sale of instruments concerns specific objects. These are by no means standard articles. You need to convince yourselves of each object in advance should you decide to buy. Once sold, you may exchange it within the statutory period with a closed purse. The purchase price will not be refunded. In normal cases you have a 1 year warranty on instruments. The guarantee comprises the normal technical good use of the instrument.